Gloucestershire Business Awards: Winners Revealed! The Marketing Cheltenham team had a ball at the Gloucestershire Business Awards last night! The lavish awards ceremony is one of the most significant events in the local area’s calendar and took place at The Centaur at Cheltenham Racecourse. Throughout the evening the atmosphere was buzzing with lots of excitement from the finalists and it was great to see so many businesses taking part to show off their achievements and hard work as well network with some inspirational individuals. 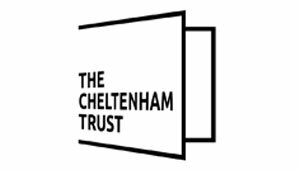 We were extremely excited to sponsor the Marketing Campaign of the Year category and we would like to congratulate our very own member, Cheltenham Racecourse who was crowned the winner following the success of their The Festival 2018 campaign. Our congratulations also go out to our category’s other finalists for their hard work.